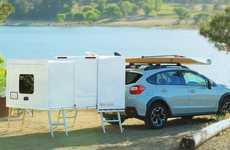 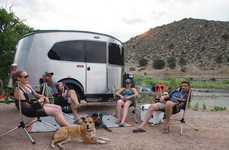 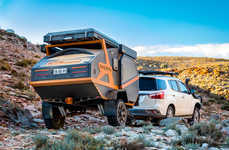 At first glance, the 6 foot 7 inches tall Camp 365 trailer may seem like uncomfortable accommodations, but this tiny trailer is capable of transforming into a large 100-square-foot camper that can comfortably sleep six. 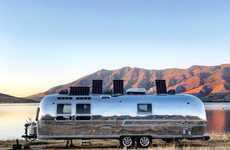 Weighing just 1,480 pounds, this trailer is built to be aerodynamic in its compact state to further its capabilities for travel. 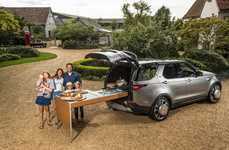 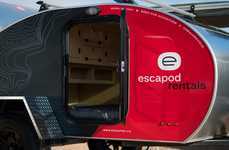 This is combined with an adjustable wheelbase, allowing the Camp 365 trailer to easily navigate through tight trails. 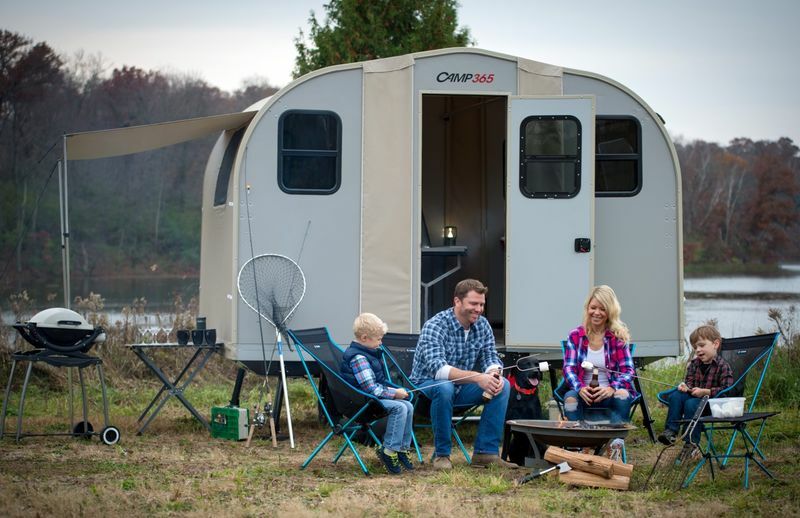 Once at the selected campsite, the Camp 365 trailer utilizes a mechanical lift assist to open up in just 10 minutes. 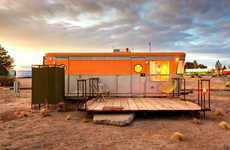 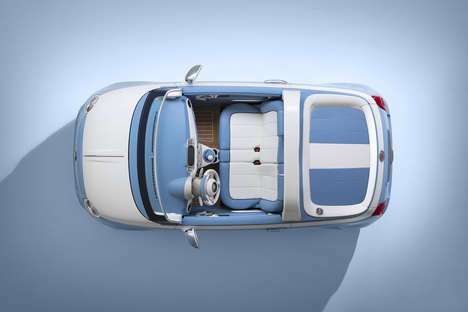 The shell is constructed entirely of a weather-proof aluminum shell, extra insulation, air conditioning, and heating. 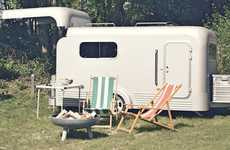 All of these elements allow the trailer to be used in both the hot summers and cold winters.